Thank you for inquiring about a Byerly RV Rental Adventure. RV Rental is the best way to see this glorious country of ours. With an RV you're free to travel at your own pace. There are no itineraries on the open road. You will never have to worry about packing and unpacking as you travel to each destination or be bothered by constant restroom or snack breaks. If you are thinking about taking a once inn a lifetime trip, or just test out a new RV style, renting an RV from Byerly RV is a great way to go about either. Byerly maintains its rental units in top condition so that our renters can enjoy their vacation and not be concerned with the mechanical or physical condition of an older unit. Every unit combines the traveler's needs of transportation and comfort. This makes them like hotels on wheels that you get to enjoy in any setting that you may want to try out. Whether it is in the woods, near the coast, or in the mountains, there are a lot of great RV styles for you to check out and enjoy. Kitchen, restroom, shower, living, dining and sleeping space are the essentials of any good RV. Renting from Byerly will give you peace of mind knowing that you're getting a superior machine. There is no extra charge for our vehicle prep, cleaning, and the major items you'll need to support your rental unit. Byerly gives you these standard features to make sure that when you rent an RV, you can experience the Ultimate Family Vacation. 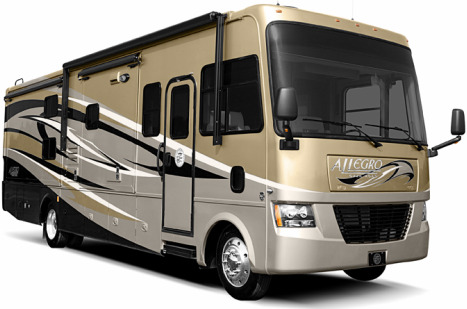 We carry awesome options, so come to Byerly RV to rent a motorhome and to rent a travel trailer! Or, you can contact our rental team to find out more about what we have on our lot here in St. Louis, MO. 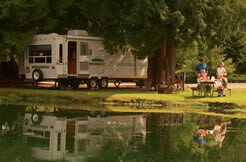 Selecting a quality RV rental company will determine the type of experience and memories you will have. Just like the hotel industry, there are both Motel 6 and Marriott options. While National RV rental companies focus on the price conscious, one-time international customer; USA 5 Star members focus on the customer that wants a quality experience for the best value. Feeling confident in selecting the RV rental company will play a big part of your overall experience. That is where the USA 5 Star RV Rental Network comes in. USA 5 Star RV Rental Network is a network of independent owner operated dealers committed to provide the best in customer service and RV rentals in the country. Members of the network are scrutinized and determined if they represent the best in their market for RV rentals. If they qualify, they are invited to participate as a member of the Network. As a member, they are then reviewed on an annual basis by fellow members to make sure they are meeting the USA 5 Star standard.